Transport group Stagecoach has placed orders for more than 340 buses and coaches in deals worth a total of £70m. The orders include about 180 low-floor double-deckers for Stagecoach's regional networks, as well as about 60 single-deck vehicles and 40 midibuses. There are also 34 coaches for the Perth-based group's UK Bus, Scottish Citylink and megabus.com operations. Falkirk-based coach maker Alexander Dennis and its subsidiary Plaxton will produce more than 300 of the vehicles. 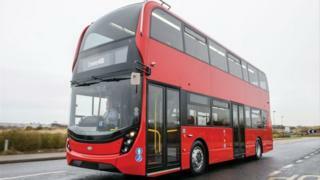 Northern Ireland-based Wrightbus will make most of the others. The new vehicles, all of which are designed to meet Euro 6 emissions standards, will be introduced in the 2017-18 financial year. Each will be fitted with CCTV and USB charging points. Most will also have wi-fi installed. The latest announcement takes Stagecoach's total orders of new buses and coaches to more than £1bn in the past 11 years, the company said. Group chief executive Martin Griffiths said: "We are continuing to re-invest money from fares in state-of-the-art, cleaner, greener vehicles, digital technology and smart ticketing to deliver an even higher standard of service. "These latest vehicle orders are an important part of our strategy to encourage even more people to take the bus."